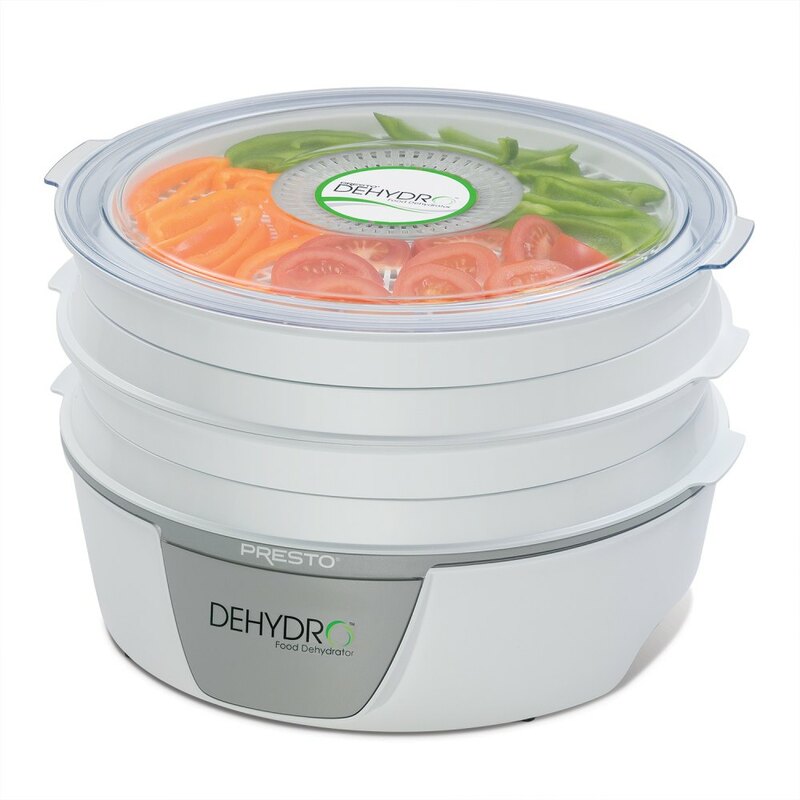 Dehydrates fruits and vegetables. Makes homemade jerky too. Drying trays nest for compact storage. *Additional drying trays sold separately. Fruit Roll Sheets, Nonstick Mesh Screens, Jerky Gun and Jerky Seasoning also available. Expandable drying capacity. Includes four drying trays. Expands to eight trays*.